Senator Shehu Sani has reacted to the decision of President Muhammadu Buhari, who on Monday kicked against tenure extension for the All Progressives Congress (APC) National Chairman and other elected state officials of the party. The Senator, representing Kaduna Central in an interview on Channels Television Programme, Politics Today said President Buhari has saved the party from a disaster by intervening and describing the tenure elongation as illegal. “The intervention of the President, if it was not done, it would have been disastrous for the party. I feel highly relieved. “So, in every sense of the word, it has saved the party from what would have consumed it at the end of the day. “If we went ahead with that tenure elongation, and someone from the opposition party goes to court after all the processes of congresses and primaries has been done, the point is that we may end up without a governorship or presidential candidate and without a candidate at all the legislative arm of government,” he said. President Buhari on Monday, in Abuja, told members of the National Executive Council (NEC) of the party that the tenure elongation is illegal. 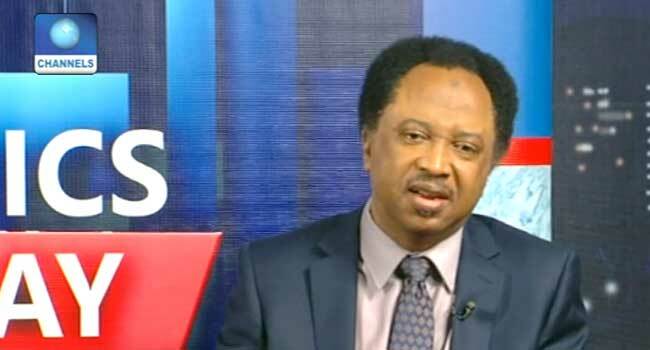 Senator Shehu Sani explained further during the interview that President Buhari was however misled by some members of the party for initially supporting the tenure elongation. “On my part, I told him (Buhari) right to his face that as a man who has seen it all, who has achieved so much as a public officer, he should outrightly reject that extension because the members of the party, we are outrightly opposed to it. “What happened is that, there were people who misled the President, misled the party and are trying to use that extension for them to achieve their own end,” he said.